Flexible Lifeline Systems (FLS) offers many solutions for shopping centers that allow for safe access to perform maintenance on the vast roof types of modern shopping centers and complex contours of older buildings. Our horizontal and inclined systems incorporate energy absorbing post technology which can be applied to virtually every roofing system. 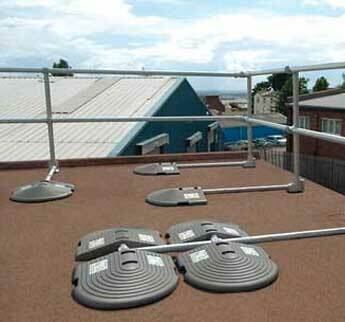 In the event of a fall, this system deploys without damaging the integrity of the roof itself. Energy absorbing technology allows the load generated during a fall to be absorbed throughout the entire system. The post has an integral energy absorber that in the event of a fall, deploys in a controlled manner to evenly absorb the force generated. 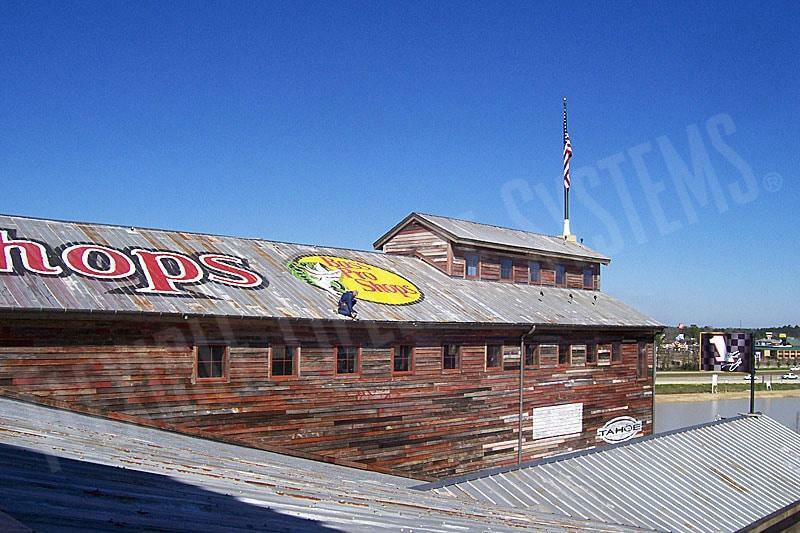 Controlling the load in this manner allows the post to be fixed to more fragile roof top structures without using structural steel or purlins. FLS also specializes in vertical and interior fit systems to maximize safety for window and atrium cleaning needed in retail environments. 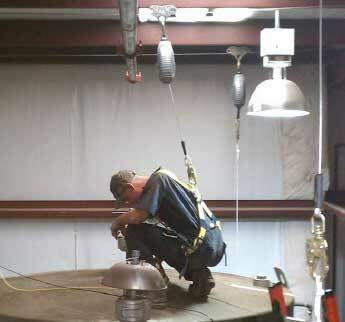 Internal fixed anchors are placed to follow applicable codes and assure worker safety. 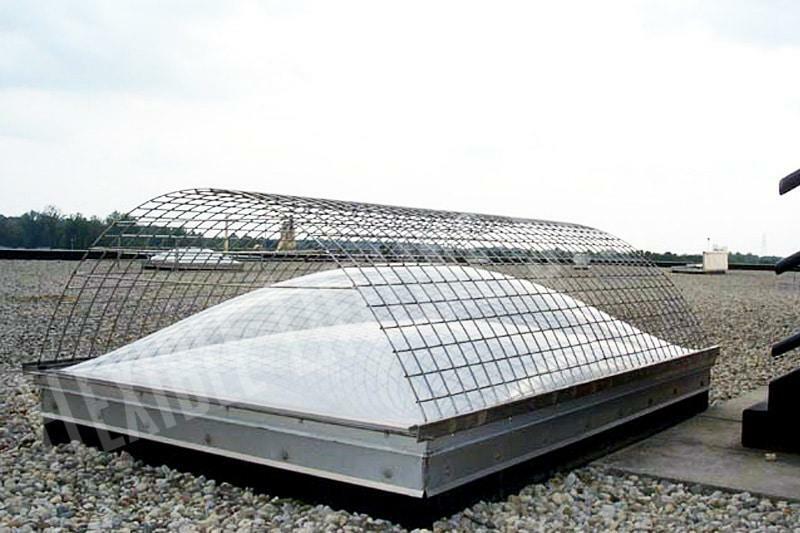 One of the most often overlooked hazards on a roof are skylights. 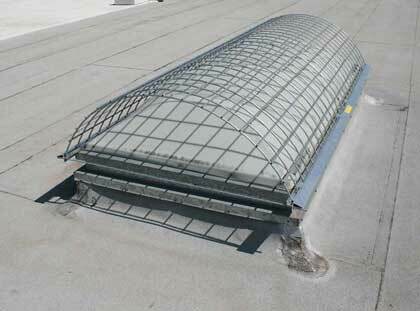 FLS designs OSHA compliant skylight fall protection solutions that do not penetrate the roof or skylight curb membranes. 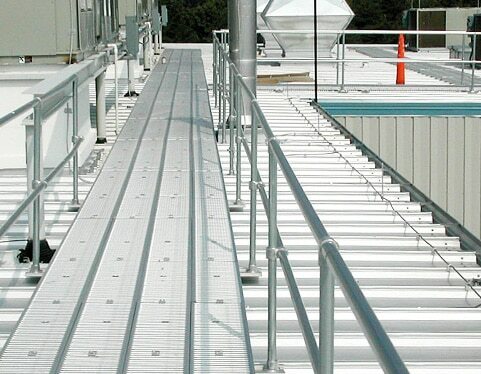 Our FlexWalk solution provides fall protection in the form of a walkway and handrail system, which installs quickly and easily on a wide variety of roofs to eliminate the fall hazard. 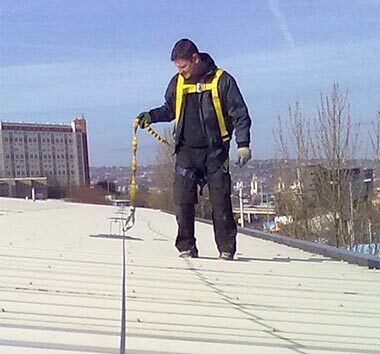 Constructed with Galvalume® steel, FlexWalk protects rooftops from dishing or puncturing due to foot traffic and provides a non-skid surface to enable sure footing in all weather conditions. 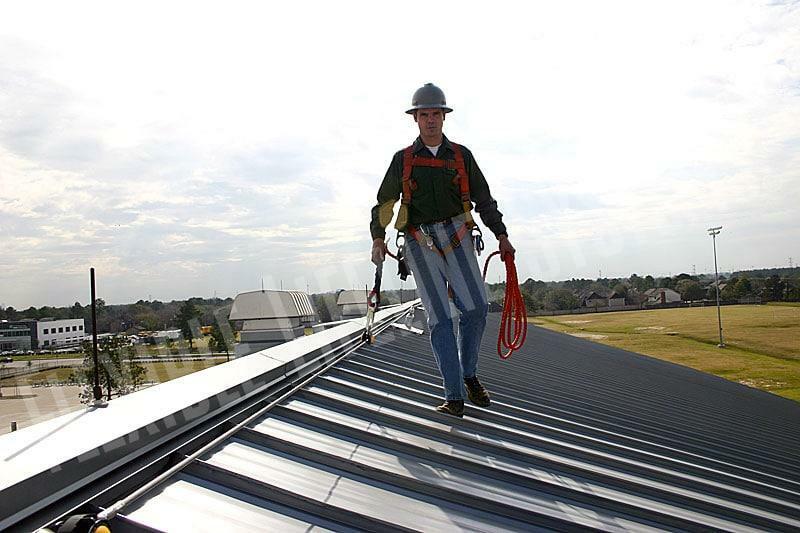 Additionally, FlexWalk is designed not to require penetration of standing seam roof panels. As the industry leader, FLS is a turnkey provider of innovative fall arrest solutions and sets the standard for fall protection capability, quality, and efficiency. To learn more about our solutions for shopping centers, contact the systems specialist in your territory. Select below for more information about specific retail safety solutions. 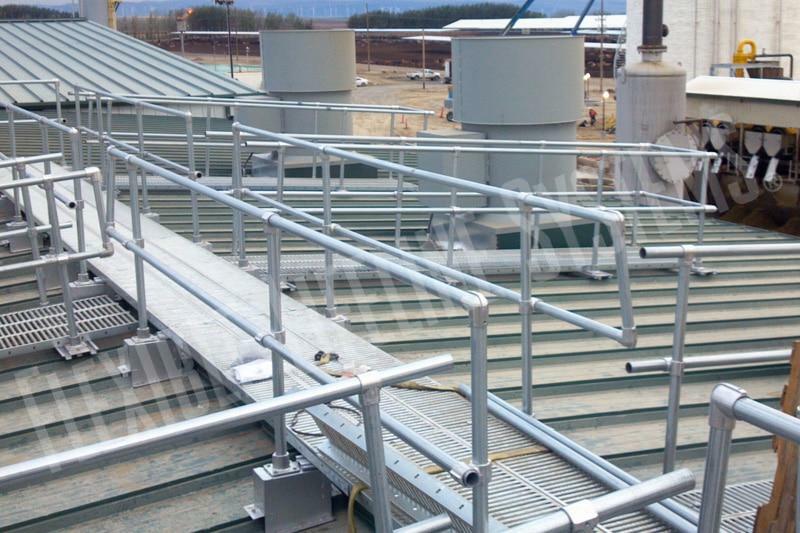 FlexGuard is a modular guardrail system that can be used for a variety of applications including rooftop safety and walkways.